The NBA Las Vegas Summer League schedule is out and the Blazers will face a familiar foe to open their schedule. Portland will be face the Utah Jazz to open the Summer League. 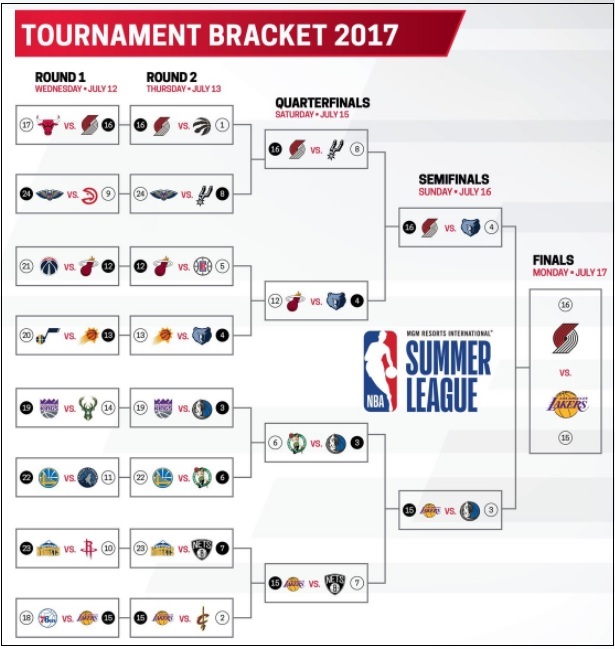 The teams met twice in last year's Las Vegas Summer League, with the Blazers winning 92-89 in the third game, only to see the Jazz winning in game four, the next day, by a 86-71 score. Due to their geographical proximity, the teams typically meet twice during pre-season play in October. The Blazers also will face the Boston Celtics and the San Antonio Spurs in their first two games. The Las Vegas Summer League is one of three summer leagues which will take place. Orlando and Salt Lake City play host to the others.. The Las Vegas Summer League is held in two facilities on the University of Nevada at Las Vegas, The Pavilion and the Thomas and Mack Center. Schedules, rosters and results will be updated as they become available. The Blazers summer league schedule appears below (all times are pacific). 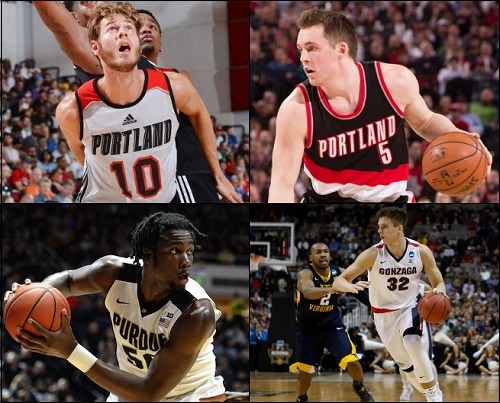 Current Blazers who are on the roster include third-year guard Pat Connaughton and second-year forward Jake Layman. The Blazers two first-round draft picks will also be there. The Blazers traded their 15th and 20th picks in the first round to select Gonzaga center Zach Collins with the 10th pick. They took Purdue forward Caleb Swanigan with the 26th pick. Both will look to show Blazers fans what they can bring to the team. 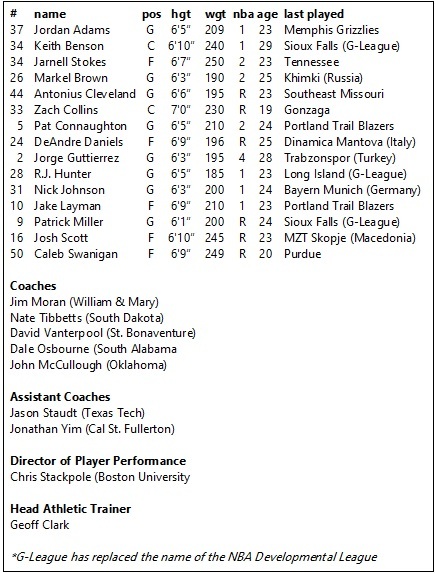 The Blazers summer league roster appears below. This roster is subject to change. All games will be played at the Thomas & Mack Center and Cox Pavilion in Las Vegas. All times are pacific. All games were played at the Orlando Magic's Amway Center practice court. 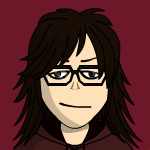 great work, Julie! glad to see the Orlando and Utah leagues included! The Blazers' first game is at the exact same time and day as the United Bowl. I am looking forward to seeing Collins and Swanigan in action. Seeing what these guys bring to the table is one of the biggest parts of watching summer league. So far, I've been impressed with Swanigan. I think he is going to earn some playing time. Collins on the other hand appears to be a project. I could also see Jarnell Stokes invited to training camp. The Blazers have made it to the semifinals. In fact, all four teams in the semifinals are from the Western Conference. Nice dunk by Layman. The Blazers are only looking for their own shots and not running the offense. I mean, in this Blazers-Grizzlies game. I have hope for Zach Collins!